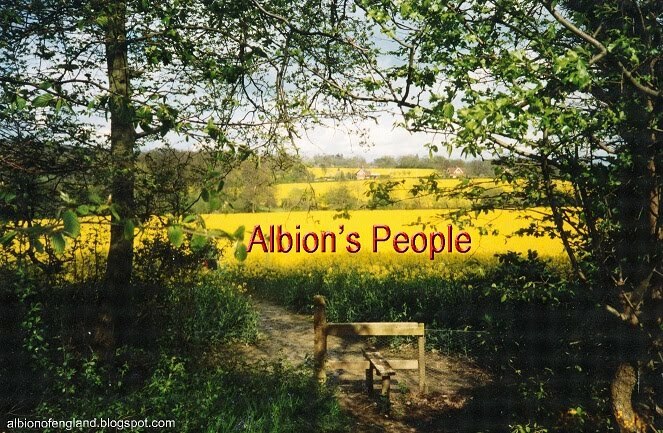 Albion's People. : We won the Battle only to forfeit the Peace. The guns went silent, the armistice was signed and the millions of soldiers who had died on the battlefield were buried. It was the turn of the walking wounded and those unable to walk due to missing limbs to be repatriated many still suffering terrible shell shock and trauma. White crosses denoted the resting places of many unknown soldiers who could not be identified but who were interred in the quiet, manicured, lawn-like military cemeteries. The dead had been called upon to sacrifice their lives for a greater cause and the inducement to volunteer was the plea for loyalty to the Nation State and to call on the innate feelings of Patriotism which generally speaking is the cultural attachment to one's homeland or devotion to one's country, a set of noble concepts identical to those of Nationalism. They were driven by the exaltation of patriotism for the survival of their people and homeland. They were unaware it was Nationalism that was planned to be destroyed post WW2. The dead had served their purpose; they had been caught up in the heady excitement of patriotism and cultural devotion to ones homeland enough to die for, but these concepts are now seen as having racist and supremacist overtones. Pleas for Patriotism had been hugely successful and the broken bodies of our brave soldiers who answered the call were unable to ponder on their leader’s later two-faced treachery. The resounding promise of the Lloyd George Coalition after the armistice in 1918 was to make Britain a land “fit for heroes to live in”. Many of Britain’s troubles post-1918 can be attributed to the mismanagement of governments, today 86 years on the “land fit for heroes” is a land only fit for the world’s poor Third World immigrants who by the middle of this century we are told will displace the ancestors of the dead who were promised “a land fit for heroes” a cruel joke indeed. These leaders now lay Poppies at monuments on Remembrance Day it is expected of them, it is a gratuitous illusion there is another generation–in–waiting to be duped again. The land your forefathers died for, your land is going to be offered to the rest of the world even if it means placing you as a Briton in a minority. Don’t we owe the dead anything? Try complaining and the courts will be your next port of call. The traitorous lies inflicted on the dead continue on their children and grand-children, they are being led into a dark future. After the horror of war had ended Nationalism became a dirty word it had served its purpose. It was if it was associated with German National Socialism. Nationalism was the ’New Orders’ greatest enemy it was equated with racism and seen as dangerous and subversive. After the war I suspect but for the creation of this New Order many counties would have withdrawn into pacifistic isolationism. It is the same New Order Gordon Brown spoke at length about, the same Order George Bush and Obama have promised is awaiting us all. Another danger is now being created. A dark oligarchic collective designed by powerful Marxist Political moguls. They will in time show no mercy on social rebellion. Europe will be centralised, its laws policed by a single ideological political police Force as is happening now to a worrying degree in the UK. The New Order does not include any forms of Nationalism, self-identity or celebration of race, tradition or culture. The requirements of a New Order are simply to comply, to obey and to conform without question even while our people are being ethnically diluted and our nation overwhelmed, scattered and displaced defended by laws enacted to stifle all resentment the power is still in the hands of the Elite where it always had been and always will be. If the politically far left inclined teacher of your child determines he or she made a Racist comment they will be reported and your child’s name will appear on a data base of over 20,000 other English children. 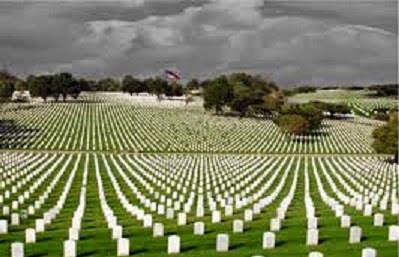 These are the Grand-children of the men who died on the battlefields and who gave their lives to make this country a “country fit for heroes.” Anyone who negatively questions government policies will be accused of being a Nazi, a word that instils personal terror in the hearts of the people behind this New Order for Europe. Racism is considered akin to Heresy or Denial of the Holocaust. For the Political Police investigation of racial comments take precedent over all other crimes. It is the cornerstone that underpins the New Order. The new order cannot exist with reference to differing ethnic races, different cultures or with reference to different skin colour; we will be one uniform people, with a single identity. It was the French PM Francois Hollande the Socialist candidate who called for the word Race to be removed from their Constitution. Not talking about races does not lead naturally to the demise of "race thinking". This is because structured into the well-intentioned project to discredit race as a concept was its simplistic reduction to a pseudo-science based on a system of biological classification said to determine differences in human ability. It explains why the Third World funded with everlasting foreign aid for ever and a day can never equal the advances of the First World. Race is an essential and important criterion in any discussion on National Identity but is being deliberately excluded from any discussion using Race Laws to suit an agenda. It does not end there I am afraid, it was his predecessor a Mr Sarkozy that insisted that the French people must change and that not to intermarry racially is bad for the survival of the country." I have seen pictures of his wife; he does not appear to follow his own advice. She is dare I say as White as the driven snow, a beautiful French woman. Mrs Sarkozy shows no hint of dilution, racial cross breeding or blending. What is it about leaders that make them so hypocritical? The European Union as we know it at its present stage will make many changes before it morphs into a nightmare never seen in the world’s history. There will be a powerful hierarchy, there will be the workers. Racial and ethnic differences will cease to exist we will be one people somewhat like a single breed of cattle bred to obey and consume. The sole purpose for a scheme to form a union of European States after WW2 was to stop wars that had ravaged the land mass of the European continent for decades. There was a trade-off, an insidious trade-off that was not obvious to the people during its initial formation; it was for all European states to sacrifice their loyalty to each Nation State and answer to and accept rule of Law from an authoritarian Marxist cabal in Brussels. One would have thought what the Cabal was hoping to achieve was impossible, but it was blindingly simple. One step at a time, one treaty at a time, each treaty took away an aspect of self-rule. 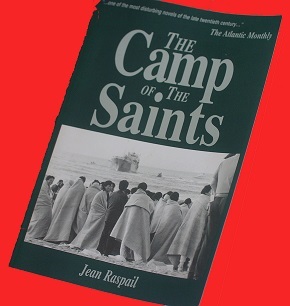 The Coup de Gras was the introduction of the Race Laws, which had little to do with Race but all to do with stifling the outcry and vocal resentment of the deliberate swamping and eventual fragmentation of an ethnic society caused by people whose cultures and accepted codes of behaviour were totally at odds with those of our highly civilised, advanced society. Look past the expensive window dressing, look past the European Space Programme, the Hadron Collider, the Very Large Telescope and European Satellites all generously funded by the taxpayers of the wealthier members of this club, programmes that could have been individually funded projects by each Nation State, funded by member states who can ill afford them. Understand WHY this monster exists at all. Understand why it is your country that you’re Great Grandparents knew they would not now recognise. I cannot predict the future but a Mr Orwell did, he just got the year wrong. In 1944 two Narnsey Paratroopers landed in a farmer’s field in Sussex injuring themselves after landing on a tractor. They successfully sued the farmer for undue care and attention for not putting his tractor away in a shed at the end of the day. Yes, well that may not be true but this latest gem from Das Kapital is true. The European Court of Human Rights says France violated the rights of Somali pirates who had attacked French ships and has ordered compensation for them over judicial delays. The extra 48 hours of custody on French soil violated the pirates' right to liberty and security under the European Convention on Human Rights, the court ruled. They are the same rights that are being used as a tool against our people. Who will be paying the compensation you ask? Why you the taxpayer. The madness continues.